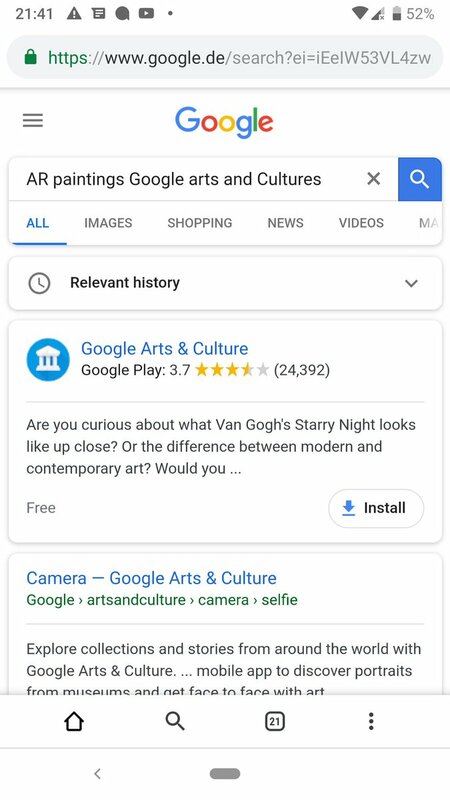 Google is testing a new feature in the mobile search results – a drop down section labelled as “Relevant History” that appears at the very top of the mobile search results. It shows previously visited pages directly related to the search. Henny Roggy shared the screenshots on Twitter showing the feature. You can then choose to drop down the results and it displays three results, with the option for more. You can see with the drop-down, they were all sites that the searcher had visited previously. The Google sign in result is likely due to signing into the opposites related to the search. 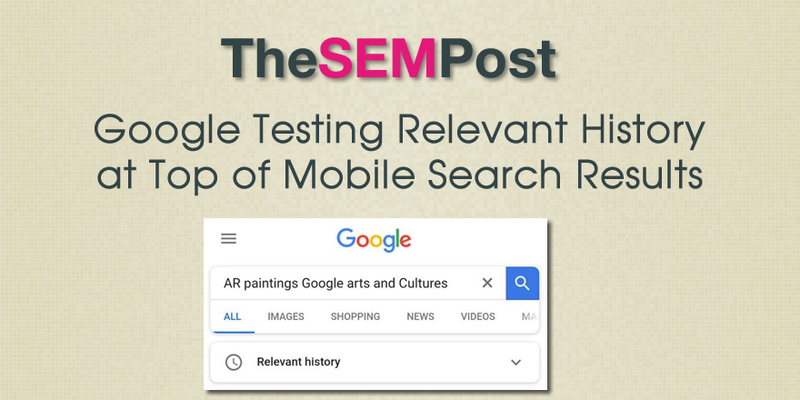 With these relevant results, Google is not showing any description with those results, simply the title, URL and any relevance thumbnail is available, but that’s not really needed since again these are results that the searcher has previously visited. 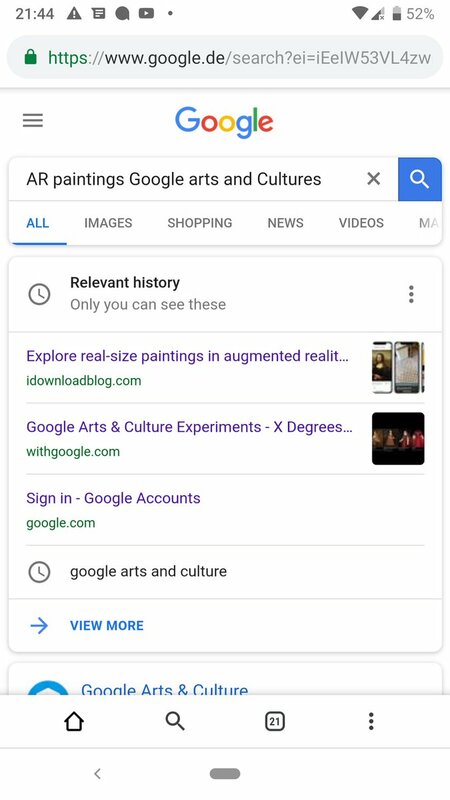 This is an interesting way for Google to present personalized results, while still showing fewer personalized results in the main set of search results,. This is especially good on a mobile search query where there is limited space on the screen to show results. This does appear to be a very limited test at this time, as I was unable to replicate it in the search results. But with how useful this feature is, both for user experience and the search results, I wouldn’t be surprised to see this one eventually end up live search results.